Oh luscious chocolate mousse, how we love thee...Whether you're throwing a fancy schmanzy dinner party or just giving yourself a special treat, you can't go wrong with this classic dessert. But sometimes it's fun to give an old favourite a makeover and a fresh new flavour. 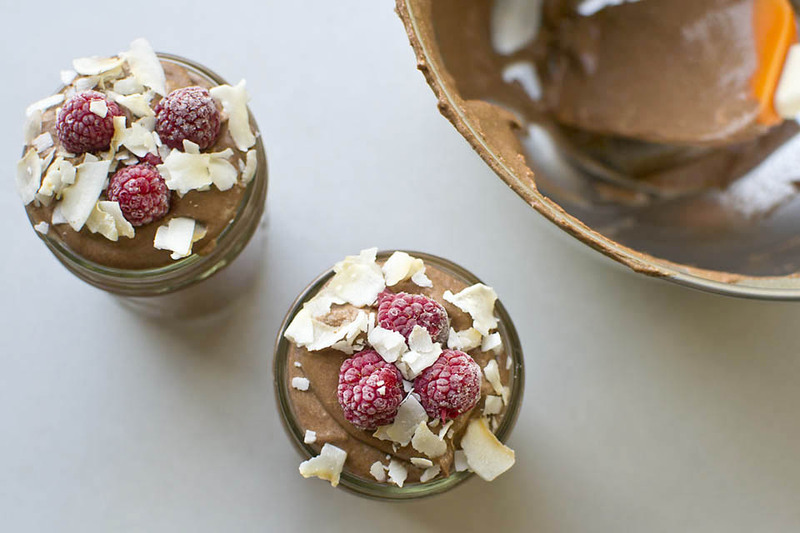 Chocolate and coconut compliment each other perfectly and combining the two is what gives this Chocolicious Coconut Mousse that little extra oomph. This recipe is both vegan and gluten-free, but we assure you that you don't have to eat a plant-based or grain-free diet to appreciate the creamy deliciousness and smooth, chocolatey sensation of this decadent dessert! Refrigerate the can of coconut milk overnight so that the cream separates from the liquid. This part can be just a tad tricky if there are stabilizers in the coconut cream to prevent it from separating, but don't fret. The coconut flour will help thicken up the mousse if the cream doesn't fully separate. The next day, scoop out the hardened coconut cream, leaving the liquid in the can, and put it in a mixing bowl. Add the coconut flour, powdered sugar and vanilla extract and mix them together. Melt the chocolate and the coconut oil in a saucepan on the stove, then let it cool off for a few minutes. Carefully pour the chocolate in the coconut cream while stirring gently until the ingredients are well mixed. 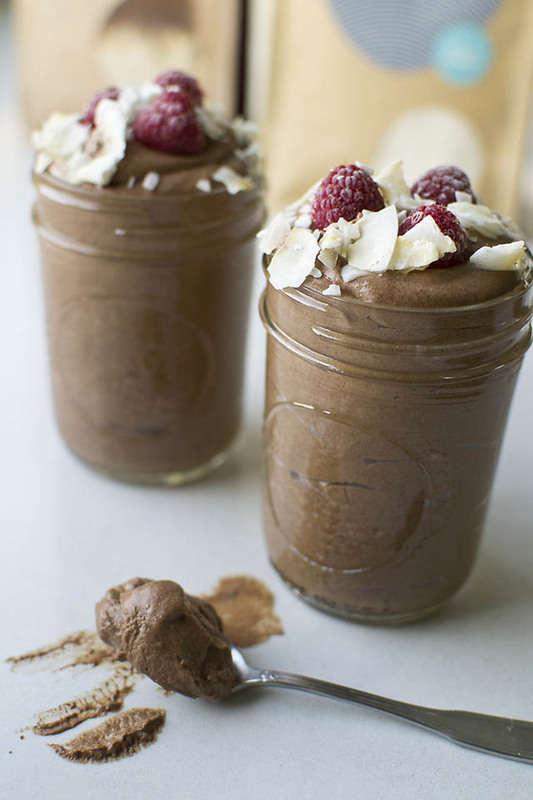 Scoop the mousse into individual cups (the recipe makes enough mousse for four small or two large servings) and garnish with coconut chips and raspberries.